Helping others has helped Bree in her own journey of healing. Many know that abuse and trauma are far too common in Indian Country. All youth can benefit from a sense of belonging and being connected to their culture. This was the message that Bree, Outreach Coordinator at Cheyenne River Indian Outreach, shared at the National Indian Child Welfare Association Conference (NICWA) held in Anchorage, Alaska this spring. Bree, along with Damon Polk and Lane Shepherd with Red Circle Lodge in Utah, presented on the importance of connecting youth to their culture to help them heal from the many different forms of abuse and trauma they may go through in their childhood. Damon opened the presentation with bird singing and honoring Bree, who shared her story of healing. Damon smudged and prayed, providing a safe, non-judgmental environment for Bree to share her story. Bree grew up in an abusive household, becoming a self-destructive youth who had so much potential but was unable to see past her trauma and pain. After becoming a danger to herself, she was placed in residential treatment at the age of 13. She went through many therapists — because Bree had given up on herself, they gave up on her as well. Then, Lane Shepherd had the opportunity to become her therapist. For more than 14 years, Lane has worked with Native youth who have endured many different forms of trauma. With patience and an understanding of the inability to trust anyone, Lane worked with Bree to get her to talk about her trauma and begin the healing process. 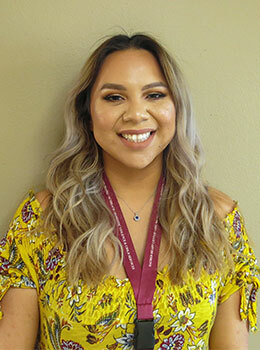 After beginning her journey of healing, Bree went back home to the Cheyenne River Sioux Reservation with the tools she needed to become a healthy, productive individual. She excelled in school and graduated high school at the age of 16. Bree went to the University of Minnesota at Morris when she was 17. However, Bree continued her self-destructive behavior. At only 17 years old, she considered herself an alcoholic. After barely finishing two semesters at college, Bree again returned home. She was told that since she was not getting an education she had to get a job immediately. Bree began working at the Keya Café in the summer of 2014. Soon, she started a new job at Cheyenne River Indian Outreach as the Administrative Assistant. After being able to help with various events in the community, she learned that she loved the work the Outreach department did. Bree took a new position as the Outreach Specialist in March of 2016, just weeks before her 20th birthday. Bree was beginning to see her potential, but was still very much in the healing process and had self-destructive tendencies. After immersing herself in the work of presenting on healthy relationships, healing from trauma, healthy coping skills, and an overall healthy lifestyle, Bree began to understand how to apply these tools and skills to her own life and relationships. After realizing that she was helping others heal, she was able to slowly heal as well and become a healthier individual for herself and in her relationships. Bree also remembered that Lane, her therapist, was constantly reminding her of the thousands of ancestors supporting her, loving her unconditionally and giving her strength. This helped her feel like she belonged in this life. After numerous suicide attempts, no one — including herself — knew how long she would make it past high school. Bree continues to heal with the work she does with Cheyenne River Indian Outreach. “I am forever grateful for the people and the organization who saw my potential when I was unable to,” she said. After sharing her story to everyone at NICWA, many adults and elders approached and embraced Bree. They thanked her for giving them hope again, encouraging her to continue to use her powerful voice, and to keep on healing. Bree hopes to pass along the message that, regardless of what life deals you, there is always something to look forward to — continue to have hope. Don’t ever forget the wonderful work you are doing Bree, you are needed!